Subtitling demands highly skilled language specialists who understand the complexities of translating various types of programs, content, and genres. Most importantly, they should understand the know-how of retaining the expression, and context of the original version within the subtitles. 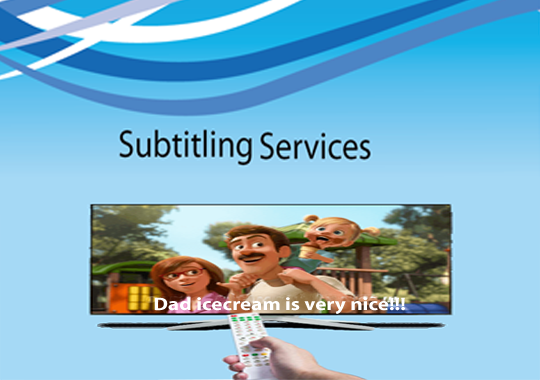 A professional subtitling service ensures that the audience understands the subtitles as they preserve the footage's original feel. At Shan, our experts very well understand the content they are working on, and do subtitling retaining the meaning and context of the original version and convey that in another language. Thereafter, they edit the translated version to meet the parameters of the subtitles, taking into account things such as speed of reading, characters-per-line limits, timing and positioning of text. Our global reach is a key factor in the success of our strategies. We are continuously working on enhancing our reach and strengths to offer better services to our clients. Get in touch with us to have the best service for your project. My problem is that there are so many people handling orders that some Indian Language orders are handled by someone else and other language orders by another team. But overall a very happy experience for me. Besides this I have no issues and am very happy. Medical Subtitling - Your Satisfaction is our intent. The doctors when performing critical operations and surgeries, video recording is done and stored for future reference. At times these videos loose relevance without any subtitling. These video files with subtitles (which runs along with the video at the specific timing) enable doctors across the world to learn new medical techniques from across borders in their own languages. The subtitled videos can be used for maintenance of records. Video recorded in one country (in a specific language) can be given subtitles of multiple languages and recorded in different parts of the world.